Interests - Playing with dolls, riding her blue bike, anything pink and girly, make-up and hairbands, Manchester United FC, X Factor, Monster High, I'm A Celebrity Get Me Out Of Here and Harry Potter. Loves cats and kittens. Loves playing Panfu on the PC. Until Christmas 2004 Caitlin had been a healthy child with no symptoms of any illness. After 3 ear infections after Christmas she seemed to lose her appetite, didn’t drink and didn’t want to play. Shortly after finishing her course of antibiotics that didn’t seem to help, she developed a bag cough. After going back to the doctors they rushed her into hospital with pneumonia. After various tests and a blood transfusion they concluded that Caitlin may have an underlying condition but they were not sure if it was Ceiliac Disease or Cystic Fibrosis. With no CF in the family we felt it was highly unlikely. One night she had a heart block, her heart rate plummeted through the floor and the doctors did everything to get her heart rate back up. It was very frightening as everyone believed we were going to lose her. Following day, after an ultrasound, Caitlin was immediately transferred as they had discovered a problem with her liver. She was moved to Kings College Hospital, London. During the following 3 weeks various testes were done including two sweat tests. They carried out a liver biopsy and a bronchoscopy which eventually concluded the diagnosis of Cystic Fibrosis. A total shock for the whole family. She was immediately put on IV antibiotics, various medicines and creon (pancreatic enzymes) which she has to take with all her meals and snacks that contain any fat to help her digest her food. Luckily her lungs are still in reasonably good condition but she has some liver disease which is consistent with CF – all be it very early. Caitlin now takes around 8 medicines a day orally, a nebuliser twice a day, and has to have regular IV antibiotics every 3-4 months to keep her well. We have to do physio every day twice a day, this no longer involves back slapping but just energetic exercise, such as trampolining etc. It’s very important to keep her active so that her lungs can remain clear, the more she runs the more she coughs so the more stays off her lungs. It is a constant battle to keep her free from infections. Later in the year she will have a portacath fitted to make her IV’s a little les traumatic. Caitlin also has a nasal gastric tube, she has an over night feed of high calorie drink to help build her weight up. It has been hard to accept the diagnosis, knowing that the average life span is only 31 for a CF person, and that ahead lies possibilities of transplants of lungs or liver. Despite that, we try and remain hopeful and positive, enjoy our little girl each and every day and just try our best to keep her well. She has been remarkable and takes everything in her stride. We are very proud of her. We have a great support network in hospital specialists and home nurses, so between us we will battle to keep her well. Hi everyone, we are now moving Caitlin on from Post Pals. We have been so grateful for all the support that we have had from you all over the years and the people who have taken time to write and send things to her. Caitlin is currently holding her own, health wise, and we feel now that it would be nice to give her place to children who would benefit from your support who are perhaps in need more than Caitlin currently is. Thank you. Caitlin has remained very well over the Christmas period, he new port that we had fitted before Christmas is working well, and she has healed well after her operation. We visited the clinic in Leeds on Thursday and were very pleased that her lung function has gone up from 76% to 87% and her weight has increased by 3 kilo and her chest sounds clear – so the steroids and itraconazole seem to have done their job. We are now playing the waiting game, as normally after we stop some of her meds her health deteriorates again and getting children with Cf through winter is always a challenge, so fingers crossed for the time being. Caitlin joined Sea Cadets in York before Christmas and really loves it, she has just got her new uniform so really feels the part. I think she longs to be like her big sister and brother who are in the Royal Fleet Auxiliary, so sea cadets will be the nearest thing to a life at sea for her but she’s so happy. As a family we just cherish each day she is well and make the most of it, as we know that over time her health will decline, we just hope it is not too rapid and we do our best to keep that time at bay by doing lots of exercise. She is wearing us both out doing xbox kinect dance games at the moment! Thank you again to everyone at Post Pals, friends of Post Pals and all the elves that helped out at christmas. We had sooooooo many lovely cards sent to Caitlin – thank you to everyone who took the time to send cards and write to us, Caitlin and I read each one and were very touched. Thank you to Grace and Wendy for their letters too. Thank you to Staff at Horseford infant school, Bethan, Katie Koskinen, Nigel Dixon, Christine Kay, Harrison, Tez, and Jessica, and to all those who we haven’t mentioned – your gifts were so nice and we always save Post Pals gifts to the end so that we can really appreciate things. Every day we as a family are truly touched by people who take the time to think of us and send things to Caitlin. We can see the thought, time and care that have gone into everything she receives, be it a letter, card or gift. We have received some lovely things and we love the fact that people like to share their thoughts or lives with us through their post. Everyone at Post Pals has a special place in our hearts, what they do for us families is truly amazing and so selfless. Thank you. It has been another very up and down few months for Caitlin, we have spent a lot of time to and fro to the Leeds General Infirmary to try and get on top of her aspergillus infection, which has been a constant battle really. Her lung function dropped down to 65% which is low for her, so she has been on a constant barrage of medication, Itraconazole (which is a anti fungal medicine) and steriods, her health did decline for a while but fortunately she seems to be improving finally – with lung function back up to 76% so we’re getting there. On top of this we suddenly discovered when she was having her portacath line flushed it caused her pain and after an xray it was discovered that the line had split and so the decision was made to take it out and have a new P A S port fitted in her arm. So, two weeks ago she was admitted for what was a 3 hour operation. She is fine now, still a little sore, but on the whole is healing well and is back at school. Our one wish is to keep her at school for a full week. To some people this is not an issue but for us it is a genuine target. She misses so much school because of hospital appointments and illness, so we would give anything for her to just have a normal term. So fingers crossed we make it to Christmas uneventfully now – although winter always seems to bring with it it’s own challenges so we can just hope for the best. A big thank you to Shehinah of Chad Varah primary school in Lincoln. Thank you for the most beautiful cards, especially the hand made ones, we can see how much time and effort has gone into them. Special thanks to Anne Bennett, Heikki, Wendy, Bethan and Sarah Fitzgerald in Texas, Becci Willets, Natashja, and Sarah G. The Halloween gifts were great too, thank you to Kerri Wood and Susan Cuin. Health-wise Caitlin has had a fairly good summer with no IV’s needed, but over the last 3 weeks the dreaded Aspergillus seems to have reared its ugly head so we are hitting her hard with treatment again – 3 lots of nebulised antibiotics a day, 3 lots of physio and some oral medication which she said tastes horrible! Still, it seems to be helping, as in two weeks her lung function has gone up from 71% to 83% so thats good news. The hospital are now starting to test her for diabetes too. On our last visit last week they wanted to run some bloods, unfortunately it looks like her portacath may have given up working so we had to go through a rather traumatic time of her having to have bloods taken normally. So next visit i have a feeling we may be discussing her having a new port. Better now than when we need to use it suddenly for IVs. We’re awaiting results of the bloods that have been taken and other tests to see what else comes up. On the plus side, she is still loving school and now being year 6 she feels very important! She has been given 3 jobs so wears her badges proudly. She has also asked to be known as Caitlin K – i know its a little confusing but its something she feels very strongly about. She has had a tough time not seeing her dad so feels the need to identify i guess. We are not changing it legally though. Thank you to Bethan for remembering Caitlin by sending her things from her wedding, it was very thoughtful and we will be sowing the seeds soon. Thank you to the kind person who sent her a beads set, Caitlin opened it without telling me who sent it, but she is thrilled and i am now the proud owner of new earrings. Thank you to everyone who has sent her post. After what we thought was 8 weeks of good progress, it came as a bit of a shock when we went to clinic and discovered that Caitlin’s weight had suddenly dropped by 6kg and lung function is down to 77%. We have had some blood tests and cough swabs so are awaiting results. My feeling is that there is obviously some kind of infection brewing. We are back at Leeds next month so will keep you all posted as to how she is getting on. On the whole she deals with everything in her usual manner, with a smile on her face and a determination to kick it! I wish it was so simple. Caitlin is doing a run for CF 2k at Newby Hall next month so hopefully she is well for that. Thank you to everyone who has set us gifts, letters and postcards, as they really do brighten her day and bring a smile to her face. Thank you for your special letters – Catherine, Claudia, Dani, William G, Hannah and Olivia. Thank you to Thomas Clapham School for their wonderful book and a special thank you to Imps Six, 5th Retford Brownie Pack, for their lovely box of treats. Thanks also to Marjolijn for the lovely stickers and thank you so much for the Mother’s Day treats. Caitlin’s treatment has been ongoing since October last year, Aspergillus has been causing a lot of trouble and we have been on a constant stream of antibiotics, nebulisers and steroids. It has been a chaotic time for the family over the last few months and things have been tough but we’re over the worst now. So a belated Happy New Year to everyone at Post Pals and all our friends and Pals. Thank you to everyone who sent Cailin something at Christmas, whether it be a card, letter or gift. It really brought a smile to her face as she has been getting really down in the dumps with things. Things seem to be improving a little now fortunately, so fingers crossed. Thank you to Caitlin’s elves too who sent her Christmas gifts. Caitlin has been fairly well and free from serious infections for the last couple of months, though she is still battling aspergillus but I think the steroids are helping keep things under control. She has been having a fair few problems digestive wise and we are having to fine tune her creon dose as there seems to be an imbalance at the moment and as Caitlin cannot absorb fat its important we keep on top of things. At the moment she is starting to miss occasional days from school with an upset tummy which she hates. We are currently attending Leeds clinic on a weekly basis as she is undergoing therapy for her aversion to needles, but this is proving to be a challenge as currently we have no transport. Our car has suddenly died on us and looks unlikely we are going to be able to save it, so whilst we wait for our mobility car to be organised, getting to appointments is proving difficult. We are praying that we don’t get hit by too many winter bugs, but as a parent of a child with Cystic fibrosis, it’s realistically our worst time of year. So here is hoping this winter will be kind to her. Caitlin is very excited about this Christmas as we are hoping to get to Bristol to have a family Christmas with her big sister Holly. She is home from sea for a couple of months so she is really looking forward to spending time with her. Her oldest brother who is also in the RFA has just left for 4 months at sea, so she is going to miss him. Thank you so much to the guys at Post Pals and all their helpers as we really appreciate all you do. Your letters and cards, gifts and messages, are genuinely treasured and appreciated. Life in our household has been rather up and down recently so it is always nice to know that people are thinking about us. A special message and lots of love to our friend, Kate D, who is in hospital. We’re thinking of you. Thank you to Rose Chambers and the Brownies from 1st Stambermill Brownies, Caitlin loved her letters and card, it was very special. Special thanks to Christine Harrison, Madison and Katrina for their lovely letters too. Many thanks to Wendy for my card making kit, Caitlin also loves her cat stickers and fairy making kit. Thanks to Post Pals for her Halloween goodies as well. Caitlin has had a bit of a rough time over the summer. Apart from her usual challenges with her Cystic Fibrosis, she developed cluster headaches on a daily basis. They were migraines and she spent 2 hours everyday in agony and having to lie down in a dark cool room. The consultants are not overly concerned as they felt that these are probably down to the Aspergillus infection that she seems to be continually fighting. Yet again we are on a high dose of daily steroids and strong meds for that infection and on top of it she has been on a course of oral antibiotics for an influenza type infection. We are also currently taking her for meetings with a psychotherapist to deal with her needle phobia. It’s currently going very well but because she has had such a rough time in the early days she has been terrified of any needles other than the one they use for her portacath. She is really enjoying being in year 5 and has started swimming again and is doing really well with it. We have just acquired a tent so we hope that when the better weather comes next year we might have a go at camping for a few days. As always she is glued to the X factor and loves every minute. Caitlin adores cats, and after we moved north we had to leave her loved cat with her father, she now barely sees it. I’d love to get her a new kitten but living in a rented house gives us a bit of a dilemma. I’m still pondering things, as I know it would give her a huge amount of pleasure, so I may contact the local rescue centre to see if we can foster any. Watch this space. Thank you to everyone who has taken the time to send Caitlin post, she is starting to slowly write back to some, but whether you receive a reply or not, rest assured your mail brought a smile to her face. Special thanks to Bethan, Anne and Kate and also to Dottie. Thank you to Susan Pike and Madison H who wrote to Caitlin from the USA. Caitlin also really loved her party bag from the party so thank you. Caitlin’s health has been a bit of a rollercoaster again lately. We did well with our last course of treatment but it seems as soon as one course is done then infection starts again – Aspergillus again! So we are on steroids and voriconazole, which are awful as it has so many nasty side effects, but it usually works and lung function goes up for a short while. The consultants are now considering long term steroid treatment, so we will see how that goes. We always travel to Kent for my job in the school holidays and on Friday (the last day at school) she came home with a nasty cough, high temperature and earache, so I consulted the local GP who does not think it is more upper viral, so I am keeping a close eye on things. If it gets any worse then i will make a 250 mile dash back to Yorkshire. As ever, Caitlin tries so hard not to let her condition get the better of her, she is such a brave girl. Thank you again to all those who take the time to make my little girl smile. Special thank you’s to Bethan, MJ and Anne Bennet. So many thank you’s in general I would like to make but the page isn’t long enough! Special thanks also to the institute of international de lancy in Switzerland. Thank you to all those who sent Caitlin lovely gifts, she really loved her Man United pictures. Firstly, apologies for not being able to name and thank everyone who has sent Caitlin presents and mail in the last couple of months. The generosity of everyone who takes the time to send us mail always overwhelms us. We are always extremely touched and humbled. Caitlin has been having a hard time health wise and it seems like we have been in and out of clinic constantly. Caitlin’s lung function has been decreasing since last October and was down to 59%. She had another two week course of iv’s as she has had pseudomonas and Aspergillus and unfortunately they have not really helped her. So the next course of treatment has been to change her medication to a stronger antifungal medication to combat her Aspergillus. This seems to be slowly helping but has some awful side effects including visual disturbances, hair loss, and it also makes her photosensitive so it means we have to cover her head to toe in sun cream all the time. As this is slow to take effect they have now put her on steroids, six per day for two weeks, then we have to reduce them. That takes her medication count to 19 tablets before school even starts! So it is about 37 medicines per day in total – we are surprised she doesn’t rattle. To top that she is losing weight so we’re doing our best to get her calories in but it is hard when she needs 2,500 per day. We have had a tough week with the side effects, she has been experiencing stomach cramps which have meant that we have had to keep bringing her home from school and she is so pale now she looks like a ghost. Still, Caitlin is a tough cookie and keeps going the best she can. As her mum though, I must admit I think I have had the most worrying two months and we still have a long way to go. On a positive note, she had a great birthday party. We took her to a place called potz of fun where her friends painted different cups, ornaments etc. The best bit though was the chocolate fountain which was a big hit. Easter has been a busy time for Caitlin. She was lucky enough to go to Bristol to stay with her sister, Holly, and her boyfriend, Jeff, for a week. She was spoilt rotten and went to Bristol Zoo and the Aquarium. It was a special time as her sister Holly is in the RFA – part of the Navy – and is away at sea a lot. Her elder brother, Chris, is also at sea as a chef in the Navy and he is currently out in Bahrain serving. When they are home though, they do lavish her with lots of attention. The highlight though was a week before, thanks to Post Pals and Me&dee Charity, for giving her the chance to go to see the X factor concert at Newcastle. She absolutely loved it. Her first ever concert! Her favourite is Cher. We do have another concert to look forward to now as I am taking her later this month to see Take That. It’s as much as a treat for me as it is Caitlin, but I think she will love the atmosphere, so I’m just keeping my fingers crossed that she will be well enough. A big thank you to everyone who sent Caitlin birthday cards and postcards. She said she feels famous! Special thanks to Sarah G, Lauren and Bethan, and everyone who took time to write a letter. Special thanks again to Mj for her birthday gift and to everyone else who also sent Caitlin presents – she was thrilled and excited to receive them. Again, huge thanks to Post Pals, it really has changed our lives. It has provided Caitlin with opportunities for special days out and experiences, a chance for us to make friends with other parents who are also facing tough challenges bringing up poorly children (especially as with a cf child they are not allowed to mix with others with the same condition due to cross infection risks), and to feel the warmth and care of people who contact us. It is so touching and we read every letter and card and each and every one of them makes a difference to our days. They really do bring a smile to a child’s face. Well, it is now the end of February and Caitlin is still fighting two infections, pseudomonas and aspergillus. The treatment has been tough going, but just as we thought she had turned a corner and seemed to improve, the coughing has started again. Its slowly getting chestier now, so we are giving her extra antibiotics on top of the medicines she is already taking – last medicine count she was taking 14 tablets a day, nebulised antibiotics twice a day, plus nebulised dnase which thins the mucus, two oral medications and finally add to that the 17-20 creon tablets she takes with her food. I don’t know how she manages it. I am so proud of my little girl. Caitlin, as always, takes it all in her stride. We have two things coming up over the next couple of months to look forward to, one is an amazing wish that has been granted for Caitlin – we are going to see the X factor tour in Newcastle at the end of March, and at the beginning of April we have planned a birthday party for her 9th birthday – she is having a painting potz party so is very excited. She has been having a really fun time with her Post Pals puppy Lucky – brother to Dottie – and we have been taking him on lots of adventures. Caitlin has even done her own blog for him. So we’re back to hospital on Monday next week. Fingers crossed we will see what’s going on. A big thank you to the charity MeeandDee who have arranged for Caitlin to have a special wish granted. Caitlin has had a tough time over Christmas. She is still fighting pseudomonas and aspergillus infections and is on such an array of antibiotics and nebulised treatments that she has days where she is just totally washed out and exhausted. On the whole though she keeps smiling and carries on. To all those who sent Christmas gifts, to the elves and to those who sent cards, she was thrilled with everything, it really cheered her up. We are always so grateful of the time and thought that people put into their lovely cards and letters. Post Pals really makes a difference. Caitlin has had a rough few months. We have been battling aspergillus and just when we thought we were turning a corner, she yet again has started coughing and lung function and weight is down. We are just embarking on two weeks of iv antibiotics which hopefully will do some good. Caitlin is, as always, a happy positive and brave little girl. She said she’s determined to fight CF and if she goes to heaven she wants to be a blue angel. Thank you to everyone at Post Pals and everyone who spares the time to write and send gifts. Caitlin gets so much enjoyment from them and I’m hoping that soon she will be able to start responding to some of the mail she receives. A special thank you to St Patricks RC primary school Cardiff for all of Caitlin’s cards, she really loved them. Thanks to Kara for the beautiful letter c sun catcher, it is now hanging in pride of place in Caitlin’s room. Thanks to Post Pals for the wonderful Halloween goody bags. Caitlin has been undergoing aggressive treatment for a chest infection, Aspergillus, which has involved extra nebulised treatments twice daily, antibiotics and steroids. Touch wood, so far this seems to be working and she has made some good progress. We are getting set to start home iv’s soon as the hospital feel that it would benefit her to go back on them 3 monthly. Other than that, Caitlin is enjoying being back at school, she is about to take up violin lessons and dance classes. Thank you to Kara for her letters and cards, it is nice to hear from you as always. Thank you for the art kits we received care of Helen T, Caitlin especially enjoyed making the mirror. The doorbell for her bedroom has proved a really big hit so thank you Sheelagh Hawkins. Big thank you also to Bethan for the Man U stickers and wand and to Xena for the lovely cat card and SpongeBob pen – Caitlin really loved it. Caitlin is still suffering with her chesty cough, it is more productive now and the decision has been made to put her on ivs again every 3 months. Her lung function had improved to 75% but we are still keeping an eye on it. We have two weeks until her next visit to Leeds for clinic visit, so fingers crossed we can escape more ivs before the school holidays. Life has been very hectic in our household lately but I am pleased to say we had a wonderful wedding and Caitlin loved being a bridesmaid, it was a special day for us all. Thank you to all those who have sent Caitlin gifts and cards, as always we are extremely touched by everyone’s generosity. Thank you to all the class of Courthouse Green primary school for all their letters, they were lovely and very special. Also, thank you to Viks and everyone involved in Post Pals for the huge difference you make to our everyday lives, you make our dark days that much brighter. 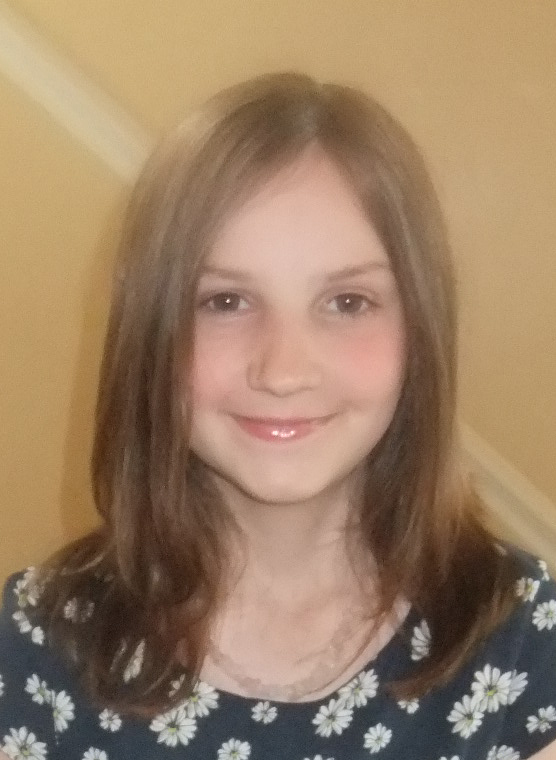 Just to let you know that Caitlin is going through a rough patch at the moment and we attended an emergency appointment this morning in Leeds to see a consultant. She has got another nasty infection and so will be starting another course of iv antibiotics early next week. She’s coughing frequently and its disturbing her sleep so she’s having a bit of a rough time of it at the moment. Caitlin has just grown another infection which she is being treated for, but on the whole is doing ok. Her severe headaches have now subsided for the time being and we now think it was probably linked to an infection. We’d had to take her out of school most days when her headaches were bad. We’re going to Leeds General infirmary for ultrasound scan next week, and her annual CF review is in June, so fingers crossed. Her lung function is currently continuing to be stable so she is able to get around with her friends and still do the same things. She is currently also really enjoying swimming lessons and doing cross country at school. As always with a lung condition, it can be a challenge, but she really loves it. I would like to thank everyone for all their kind gifts, cards and letters this month. We couldn’t get to the door some days for the sheer amount of post! Thanks to Russell Howard’s show for highlighting Post Pals. I am slowly doing my best to try and respond to as many personally as I can – I think I am going to have to be Caitlin’s PA for a while! So many lovely handmade cards, crafted gifts, presents and lovely letters that cannot remain ignored. I am sure Caitlin will have acquired a fair number of new friends by the end of it. So a huge thank you to all those lovely people who kindly took the time to send Caitlin post, the generosity of people often makes me want to cry. Thank you also to Post Pals for the Alton Towers tickets, we plan to use them at the end of the summer holidays, and it will be a real treat for Caitlin and our family. Thank you to Stitches of love and kindness for the beautiful cushion, the Jaxons for their blanket, and Dave Langdale for his Spongebob blanket. Caitlin has really had a rough few months. Since June last year, we seem to have been battling infection after infection. Fortunately, after some excellent treatment, I think we have finally turned the corner. Her lung function has risen from 65% to 86% and the biggest current problem we are experiencing is that she is feeling extremely tired and seems to be getting daily severe headaches. The hospital thinks it could be down to dehydration. This always seems to be some challenge to overcome. In general, Caitlin is about to start swimming every week with the school, so is looking forward to doing that and enjoys going out cycling. She is starting to get excited as mummy is getting married in July and she is being a bridesmaid. Thank you to all the people who have kindly sent their best wishes and for all the books and craft kits that have been sent which have been very useful for the days when Caitlin hasn’t been able to attend school. A godsend! Caitlin is still suffering from chest infections and has been since June now. We have been throwing all sorts of medicines and treatment at them but they don’t seem to be clearing, so we’re going to St James hospital (Leeds) again on Tuesday to start another two weeks of intravenous antibiotics. This is the third lot in 7 months so things have deteriorated a little. Fingers crossed this final push will clear whatever it is. Apart from that, Caitlin is keeping busy. She has just started drama club in school and we are going to start going swimming regularly as part of her physio regime. We are going to Kent for half term week where she will attend playscheme and visit her old friends, so it should be an exciting week. A special belated thank you to the George Washington class in the USA, for all their Christmas cards. We will be sending a thank you letter soon. We had a lot of handmade cards from the children that arrived this week, so that was very special. Caitlin is currently doing ok. She is still fighting what we believe to be the same infections since June. They seem to be under control but we have not managed to eradicate them, which means that she is still having disturbed nights coughing and has recently also taken to sleepwalking and more night terrors, so she has a very tired mummy at the moment! She continues to take her daily medication and have physio sessions but her weight has become an issue as over the last 3 months. A child with Cystic Fibrosis needs at least 2000 calories a day, so eating and more eating is the issue of the day. We had a lovely Christmas and thank you to everyone who took time to send us good wishes and gifts. The generosity that people show us never fails to touch us. Caitlin was very very excited to receive regular letters from the elves and reindeer and I think that was a real high point of her Christmas. Thanks go to Shiyu from Kochi Japan for her handmade card, Rock Ferry high school in Birkenhead, class 4ap St Hilary’s school for the lovely cards, Jack and Erin for their photo, Despina for her lovely cards and postcards, and Caitlin’s two special elves Liz and Emma. Thanks also to Santa’s reindeers for their lovely cards and presents. A big thank you to you all. I am always humbled by the amount of mail that Caitlin receives and the love and support that is shown to us as a family. We are always grateful for Post Pals hard work and their generosity. We are back at hospital for our next review at clinic on 8th February, so fingers crossed. Caitlin is still having a bit of a rough time of it and is still undergoing her treatment for pseudomonas and another infection, so it limits her being able to go out and about with her friends. She does have good days; I just wish the infections would clear as her coughing disturbs her sleep so much. We are just hoping that she remains fairly well through the Christmas period so that she can enjoy herself. Caitlin is very excited about Christmas and fortunately she still believes in the magic of Father Christmas. We would like to take this opportunity to thank everyone at Post Pals and all those kind people who take the time to spare us a thought and send cards and gifts. Every one of them is truly appreciated and valued; your kind wishes are very important to us and help us realize we are not alone. The joy that Caitlin gets when she receives mail makes a world of difference. Special thanks this month to Wendy, Kate Dee, Norma Lumley, Valerie Simms, Caroline in Surrey and Ruby – all your cards and wishes have brightened Caitlin’s day. We really love the hand made cards too and are grateful for your thoughts. We wish everyone best wishes for Christmas. Caitlin has just finished her course of iv antibiotics and is feeling a lot better, although she is still receiving intense treatment for 3 difference lung infections. She has had to miss 2 weeks of school because of the threat of swine flu so it has been hard for her having to stay home, so the little craft kits that people have sent have been a Godsend. Caitlin did go to Legoland and i would like to thank Post Pals for giving her the chance to go, she said it was her dream to go there! Thank you to everyone who has sent good wishes our way, it has been a big help over the last month. Caitlin received some lovely craft packs which she absolutely loved, and the books were great as she is reading properly now. Caitlin is having a tough time right now; she has grown pseudomonas and is on a really intensive treatment regime of drugs every day, as well as doing home IVs. She has a bit of a temperature today so am keeping a close eye on her and to top everything off, we now have had to take her out of school because there is suspected swine flu going around. She is home bound until she has had the swine flu vaccination. Caitlin has had a rough few months over the summer and has been struggling to clear a lung infection. Her lung function was dropping rapidly but now i am pleased to say she is finally making some improvement. She has been fighting an infection called Aspergillis, it’s a fungal infection so it’s going to take around 3 months of medication to clear. Caitlin is currently on steroids and has been taking up to 6 steroids a day, which in turn has made her put on weight and she now has chubby cheeks! Caitlin attended St James’ hospital in Leeds and her lung function has gone up to 75% so that’s great. Thank you to all that continue to send Caitlin mail, i have just started to teach her to use the internet so that hopefully now i will be able to help her send some replies to all the wonderful people who send her things. Thank you so much to all at Post Pals for the Legoland tickets, Caitlin will be visiting there at half term so we will be sure to take lots of photos. She is very excited about going as she has never been there before, so thank you again. Thank you to Wendy for her lovely hand made card, to Kate Dee and also Tracy in Bristol for your cards and messages. Caitlin has just finished her course of IV antibiotics and is now back to enjoying some outdoor fun with her friends. IV’s really restrict what she can do due to having a line in situ for 2 weeks. Her lung function is currently up a bit more but she’s already coughing again! The post she has recently received really cheered her up whilst she was having her treatment, so thank you to everyone. Thank you for the lovely SpongeBob and the personalised necklace – Caitlin was thrilled. Also, the most beautiful quilt arrived from Lovequilts UK today, so a huge thank you to all involved in making the quilt. These gestures really are appreciated. 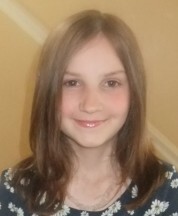 Caitlin is in reasonably good health at the moment, although is on a course of extra antibiotics for a bad cough which wont seem to shift, and she is starting to look a little weary in the heat which is normal for most people with CF. Our next appointment is in Leeds in a couple of weeks when we go for our Annual Review so we will see what they say. Caitlin is having a lovely half term and is looking forward to her big sister Holly coming home soon as she is in the Navy. At the moment she absolutely loves Britain’s Got Talent and i cannot get her to bed until it is finished! She has also gone Garfield and SpongeBob mad and has started a collection of SpongeBob things. A special thank you to all those people who send Caitlin mail from overseas. Post Pals means so much to us and helps us get through the tough days. It’s lovely to know so many people care and bring a smile to Caitlin with the mail they send. Caitlin is just starting to read some of the mail for herself too, which is even nicer. So thank you to everyone for taking the time to think of us. Well, we are now settled in Yorkshire and we love it. Caitlin loves her new school and is already making friends. She really likes our new home and there are lots more outdoor activities to do here. At the moment we have a duck with her ducklings who have made home in our garden for a while, so she is out everyday checking on them. Her health has remained pretty good so far. We are starting to set up all her health care here and are based at St James hospital in Leeds. We now have to go to hospital every 8 weeks to be seen at clinic there, with a visit to the local hospital in between. She is coughing again and is on extra antibiotics so I’m hoping that it will be enough to fend off any infection. They have changed some of her medication around so we are all getting used to new routines. She’s on 9 tablets each morning along with her nebulizer, one at midday and another 3 in the evening. Add to that her 17-20 creon a day with her food and i don’t know how she does it. She’s so good at swallowing all her meds. Thank you to all who have sent us best wishes in our new home cards and all the things that have been sent for Caitlin’s birthday and Easter. Thank you to all the following people for their special birthday gifts and Easter wishes – Erin F’s Nan and Granddad, Wendy, June Junko in the USA, Sarah Gilligan in Lancaster, and Amy Singleton in Ayrshire. Special thanks to the Post Pals team for the egg decorating kit and the lovely brown teddy. I am always overwhelmed by everyone’s generosity. Best wishes to all other Post Pals and their families for Easter. Caitlin is generally well at present, and with our forthcoming move to North Yorkshire in 3 weeks time, we have been signed off from Kings College Hospital and are transferring our care to St James hospital in Leeds. We are still struggling to keep her in school for a full week as since summer Caitlin has suffered from the usual coughs and viruses that go round, but because of her CF they just really seem to hit her harder and knock her off her feet for a day or so. Still, she keeps smiling and is always eager to go into school. We are coming up to her 4 year anniversary since being diagnosed and when i look at how far she has come, from a malnourished very poorly little girl who was fighting for her life, to a child of normal weight, height and enjoying life as any other 6 year old, she really is a brave girl. Without the support of the people around us, from the doctors at the hospital, the community nurses, right down to everyone at Post Pals, i really don’t know how we would as a family got through so far. So thank you to everyone for the hard work you put in, it really does make a difference. Caitlin had a wonderful Christmas this year as all the family were around which was especially nice as this coming year is one of big changes for us. Caitlin and i have an impending house move to Yorkshire, which unfortunately means she will see less of her big brother and her dad, and also big sister Holly, as she is going to sea with the royal fleet auxiliary for 4 months from the end of February. So, with a new school and new hospital team to get to know, it will be a bit of a challenge for Caitlin. I’m sure she will cope really well. Just before Christmas Caitlin was invited to a party laid on by Invicta FM (our local radio station) as one of their Christmas stars. She had lots of fun, met Santa who arrived in style via helicopter, and was generally spoilt rotten. She also got to meet x factor star Austin Sage. Boxing Day was eventful as when Caitlin got up in the morning we found she had the dreaded Chicken pox! So we have spent the last week itching and covering ourselves in calamine lotion. Maybe next year we will have a spot free, infection free, Christmas! A big thank you to all who took the time to get presents for Caitlin, she loved them all, and it looks like I’m going to have a very busy month or two making things with her as we have lots of lovely creative kits. Special thanks to Judith, Chris, Paul and Rebecca, Maria and Michael, Alan and Aimee in Germany, Julie, Judi, Brian and family, and our very special Christmas elves Sue and Peter Barrett. Thank you to all at Post Pals who made Caitlin’s Christmas all the more special this year and a happy New Year to all. It’s been a difficult month for Caitlin and the family. Caitlin spent 2 and a half weeks with a bad chest infection and up all night coughing constantly so she missed out on a lot of school. Despite all this Caitlin is a tough cookie and puts a smile on her face each day. We are in the middle of not only Christmas preparations but house move preparations as we are moving to North Yorkshire at the end of February, just after her planned iv’s have been done, so there is a lot to organize with the transfer of treatment etc. Caitlin is looking forward to starting a new school though and we plan to start swimming and horse riding lessons if she is well enough. Caitlin’s Nan is also currently unwell in hospital with brain cancer and is not expected to see Christmas, so any extra prayers would be gratefully received. We would still like to express our thanks to all at Post Pals and everyone who send Caitlin mail, it really brightens her day, and we appreciate everyone who takes the time to help put a smile on her face. May we also take this opportunity to wish all other children and parents and the people at Post Pals a wonderful Christmas. Life here has been so hectic. We went to Australia for a once in the lifetime holiday at the end of August. We are also moving to Yorkshire next year, so we are busy organising a move. We are going to Kings today for a check up and to discuss the next course of IV’s. I think they will be just after Christmas. We appreciate what you guys do for us all and the delight Caitlin gets with all the mail that comes our way is just immeasurable. It really does make a difference to us and brightens up some days that seem very bleak and when I’m feeling down it means a lot to know other people. We are currently on a trip of a lifetime staying with family in Australia and Caitlin is experiencing the charms of living with kangaroos on her doorstep. There are also two horses which she is enjoying treating to the odd apple and carrot. It’s not quite spring here yet so we are having typical English weather, but it’s just right for her CF. She is still suffering from a bad cough but it does seem to be improving a little now as we have come equipped with lots of extra antibiotics. Special thanks for the giant bowling that Caitlin has just received, it was lovely of Samantha’s parents. We are away so have not yet seen it but I’m told by Holly (Caitlin’s sister) that it’s amazing. Thanks also for the Thorpe Park tickets which we plan to use when we get back at end of September. Special thanks this month to Julie for all her little fun cards and thank you to Despina for her postcards. Caitlin really loved all her craft kits she received too, she adores making things. Caitlin has been a little under the weather this month, so when she hasn’t been feeling well the little craft kits really seem to perk her up. Thank you to all who take the time to find these wonderful ideas for her. Caitlin has just returned from a week in hospital. She went in for a routine exploratory bronchoscopy and to start her ivs off. When she was diagnosed they found the bug pseudomonas which is a pretty serious bug for a child with CF. She hasn’t tested positive for nearly 2 and half years with it, hence the exploratory operation to see if it is still deep in her lungs. So far the results that have come back show one infection but we are still awaiting news on the pseudomonas. We should hear on Wednesday. Caitlin has had a bit of a rough time with the operation and took a lot longer to recover from it, they had problems with her breathing during the operation because of the sheer amount of sticky thick mucus that they found. We are now back at home and she is getting back to normal slowly and is currently on home ivs 4 times a day, which is pretty restricting for her, but like always she smiles and gets on with it. When i mentioned to her one day that i wish i could take CF off her she said “i don’t mind taking my medicine mummy”. Like all of the children on Post Pals, she is a total star. We are hoping to be able to go holiday to Australia at the end of august, a once in a lifetime trip for both of us. Caitlin really loved and got so much enjoyment out of the crafty items she received this month, especially the peg dolls. Thank you again to all that take the time and effort to brighten Caitlin’s day. Caitlin is currently well and has managed to steer clear of infections for the last couple of weeks. We are due to Kings at the beginning of May for an annual review with the CF team and with the liver team also. So fingers crossed. We then have planned IVS on May 18th so we are going to Kings again for our regular hospital admission. Thank you for all of the wonderful birthday and Easter cards. Caitlin was overwhelmed and happy to have so many. Special thanks to the following people: Julie Barrett, Kate, Nicky, Liz, Maria C, Bernice, Callum and Emma, Helen T, Cara, Judith, Erin F’s nan and granddad and St Matthews Sunday school. Thank you to everyone who also took the time to send gifts, Caitlin loved them. Caitlin is continually fighting off one infection and then another one starts. We have just completed 7 weeks of different oral antibiotics and we are due to attend the CF clinic again on the 12th March to decide when the next batch of iv’s needs to be done. We have recently began to try and stretch the amount of time between courses of iv antibiotics as up to now she has remained fairly well. We are due for a liver review in March so, as always, we’re a little nervous as to what that might throw our way. In herself though, Caitlin is her usual bubbly self, running around and not letting anything bother or faze her. I continually marvel at her bravery and determinedness. She loves school, and doing anything outdoors. We have just started to take her swimming again which she loves too. A lot of changes have been happening at home too, so it has been a difficult time for us all, but we are always sooooooo grateful for the cards, letters, gifts and emails that we receive for Caitlin. So thank you to everyone for taking the time to brighten her day. Caitlin is currently well and we are continuously fighting off all the usual winter colds and trying to prevent chest infections. We are due to go to kings in London on 6th February for a clinic review, to book impending iv antibiotics and liver review. Our family has been through a tough year last year, but we are now looking forward positively. Thank you for all of Caitlin’s wonderful gifts, we are always amazed by people’s generosity and are truly touched. Caitlin is currently has yet another chest infection, which we are fighting with various antibiotics. Hopefully we will be able to fend this infection off without another session of iv antibiotics. We are due at Kings College hospital in London on May 25th for her first annual review. This entails scans, chest x-ray, lung function and blood tests, as well as a thorough examination, evaluation of her diet and physio and medication review, so it will be a long day. Caitlin is mainly doing really well, her liver has stayed normal and the disease has not progressed at the moment. She is running around trying to be a typical little girl. So we are enjoying the good days and riding through the bad ones. Caitlin has just had a wonderful christmas, she finished two weeks of iv antibiotics a week before christmas, but has already developed yet another infection, so we are starting her on another course of oral antibiotics. Her health has remained steady so far, have had some concern over her liver disease which is being monitered regularly. Caitlin continues her regime of several oral medications twice a day, liver medicines, nebuliser 3 times a day and physio twice a day. frequent clinic visits and hospital admissions are still regular and will be indefinatly. Its nearly two years since caitlins diagnosis and i know that everyone is amazed at her recovery from the pneumonia and since her treatment for cf and liver disease has begun her health has really improved she is like a different child now. Hospital staff are continually amazed at the fact she is still here with us after her bad start. She is a brave little girl of whom we are very proud. Cannot thank everyone who helps and supports us enough, every letter and email, card and postcard i keep in a special box to remind us of how many people think of her. Caitlin has now moved on from Thomas Tank Engine and loves Dora the Explora and numberjacks, and anything girly (especially jewellery). Caitlin has now been on IV’s for almost 3 weeks. We went into Kings hoping for just a 3 day stay, but due to a reaction with an antibiotic and her liver we had to change to another one and were kept under observation until the friday. We were finally allowed home on IV’s and then going back to Kings the following week for blood tests and yearly review – e.g. lung function tests, swabs, general examination by doctors, physio and dietician. As she was still coughing, it was decided to keep her on IV’s for a following week. We returned to Kings today for blood tests etc and were told that her liver bloods have gone up. They don’t think its anything to be overly concerned about, but they will let me know tomorrow what today’s results are. They have also talked about a treatment called Dnase – it’s a nebulised enzyme that helps thin the mucus, loosening it enough for it to be coughed up – i know it sounds awful (!) but apparently Caitlin is still too young to bring anything up. Once she does though the benefit is that they will be able to test it and find out what infections she has got and treat it more accurately. Despite positive cough swabs, it is still thought that her lungs are already infected deep down with the pseudomonas bug – which you pretty much can’t get rid of once infected as it’s resistant to most antibiotics. Dnase will in effect improve Caitlin’s lung function and hopefully keep it from deteriorating too quickly. Because Caitlin is starting Dnase, she will be entitled to a free Eflow nebuliser. These are brilliant – it currently takes us 20 minutes for neb colymicin twice a day – with the Eflow it will be down to 5 minutes! Her Dnase will take between 1-2 minutes and it is portable and not noisy – isn’t the art of technology wonderful? It will certainly make life easier for both Caitlin and me. She is not due to start this until September as all the paperwork has to be done. Next hospital admission will be September 3rd – hopefully with another on the December 3rd as we are trying to make sure she is fit for starting school in January. We are also off to Darent Valley for outpatients’ clinic on August 16th. I am just keeping my fingers crossed for tomorrows liver results. Caitlin is now a year since Diagnosis of Cystic Fibrosis and Liver disease. She has made immense progress, she had put on weight so no longer has the NG feeding tube and the new medications have hugely improved her way of life. Caitlin is now a totally different child to a year ago. Her lungs have already slightly deteriorated but her liver functions have improved. Caitlin is reviewed at Kings College hospital every 6-8 weeks with her cystic fibrosis, and every 6 months with her liver disease. Fortunately she has stayed reasonably well, although we are now on our 3rd week of iv antibiotics to clear an infection, and she had a bad reaction to one of the iv antibiotics recently so that was a fairly worrying time. Caitlin is very brave and takes everything in her stride. We have now also just bought her an 8ft trampoline for the garden for physio time. She is due to start school full time after Christmas but until then she attends a nursery every morning and loves it. She is finally trusting people again and making new friends. We can never predict how or when the CF will really take hold, so all we can really do is make sure she stays as well as we can for as long as we can. We continue to live each day to day, and pray for a cure. We hope our little girl will grow up and do something bold with her life. Post from Post Pals has made a huge difference to our lives, we know that there are people out there thinking about us and that brings us great comfort. A special thank you to Victoria for all the goodies she sends to Caitlin, she loves them. Many thanks to everyone who has sent Caitlin cards and gifts, we are truly touched. She is getting really excited about Christmas now, so touch wood she stays well for the next week or so. Caitlin is doing ok at the moment, we have another clinic tomorrow at the local clinic, she has a slight cough but is on strong antibiotics so we are hoping to avoid IV’s before Christmas. She’s getting all excited about Christmas as its will be the first Christmas she will be well (hopefully) so will be able to enjoy it. All went well with Caitlin’s operation. We went to Kings last Wednesday and they fitted her port on Friday. It’s already made all the IV’s so less traumatic and she loves her wiggly and her bessie bump, which is what we’ve called it. Things are still manic as she is still on two weeks of IV’s, so although we moved down to our local hospital, I still have at least another 5 days sleeping at the hospital. We are now allowed some day release though. All being well, the next course of IV’s will be in 3-4 months and they will hopefully teach me up at Kings to administer them myself, so it will greatly reduce hospital stays. Caitlin is doing well at the moment although she does have her days and when you’ve been cooped up in a room with her 24/7 it’s hard sometimes. She can be challenging! Anyway, your post always brings a squeal of excitement from her, and we are really grateful for all the lovely things you send.